This installer Create Install Media OS X Yosemite beta . Not need to format your USB Drive ! Dont move Installer, you need to run on the dmg image ! Thanks to all guys to sharing experience ! No boot on volumes and no Extra folder : is on EFI partition ! YOU WILL BE GUIDED IN THE STEPS. YOU HAVE A MACHINE Virtuell, INSTALLER WORKS ON THIS KIND OF MACHINE. A USB 8 gig KEY OR AN EXTERNAL VOLUME THATS ALL YOU NEED. MAKE SURE YOU HAVE INSTALLER OS X MAVERICKS.APP IN YOUR APPLICATIONS. 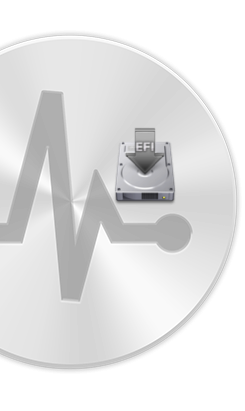 Not need to format the USB key in the disk Utility ! Chameleon team, crazybirdy, JrCs. Support Fat32, HFS +, ESP. ENJOY MAVERICKS WITH CLOVER EFI ! WELCOME TO INSTALLER Mavericks Bootable Clover EFI YOU WILL BE GUIDED IN THE STEPS. TO DO THIS, YOU HAVE A MAC OR Hackintosh OR IF YOU HAVE A MACHINE Virtuell, INSTALL ON ON THIS KIND OF MACHINE. ** IMPORTANT ** MAKE SURE YOU HAVE TO INSTALL OS X MAVERICKS.APP IN YOUR APPLICATIONS. RENAME THE NAME YOU WANT. BUT YOU MUST START CLOVER AT THE END OF THE CREATIVE PROCESS ! SO CONTINUE WITH THE OFFERD OPTIONS ! Ive create this tools for the AMD Hackintosh community!! this installer is reserved only for CPU bulldozer/piledriver/vishera (SSSE3) .